Rajiv Khanna made the astonishing revelation that in 1995, when he was flush with funds after the sale of his ice-cream business to Hindustan Unilever, he was at a loss as to where to invest the funds. “I knew nothing at all about investments and so I put my money into fixed deposits and certificates of deposit,” he stated. 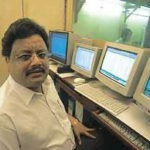 Luckily, a youngster working in Satyam Computers convinced him that tech stocks have great scope and would give multibagger gains. This theory was corroborated by S Naren, Rajiv’s good friend, and now the fund manager with ICICI Mutual Fund. So, Rajiv Khanna liquidated all his fixed deposits and bought truck loads of tech stocks like Infosys, Satyam Computer etc. “I made 11-bagger gains from tech stocks. I was a genius,” he chuckled in fond remembrance. S Naren had warned Rajiv Khanna that tech stocks were highly overvalued and a bust was inevitable. This prophecy came true in 2000 when the bubble burst and all internet stocks crashed like a ton of bricks. Thankfully, Rajiv Khanna emerged relatively unscathed because he still had gains in excess of 300% from these stocks. However, he was mentally traumatised by the experience. 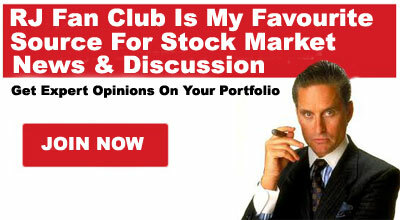 “I decided I don’t understand the stock market and I put back my money into fixed deposits, debt funds etc,” he said. Having been traumatised by the crash in the stock market, Rajiv Khanna decided to invest in real estate and went scouting for properties to buy in New Delhi. That is when he stumbled upon Unitech Ltd, a realty company. He was impressed by their plush office. “Unitech was available at a valuation of Rs. 100 crore. Citibank and other FIIs held big stakes in it. I invested a small sum of Rs. 5-7 lakh into the stock and forgot all about it,” he reminisced. “In 2008 there was a big boom in realty stocks and my petty investment of Rs. 5-7 lakh in Unitech Ltd was worth Rs. 25 crore,” he exclaimed. One of Peter Lynch’s classic investing principles in his treatises “One Up On Wall Street” and “Beating the Street” is that investors should ‘Buy what you know’. The book has several timeless examples of how if investors had bought simple and everyday stocks like McDonalds, Dunkin Donuts etc, they would have effortlessly snared multibaggers. Rajiv Khanna revealed that Dolly used a product named ‘Fem’ bleach. He correctly surmised that if the product has met with Dolly’s approval, it would appeal to other women as well and would do well. He bought the stock. 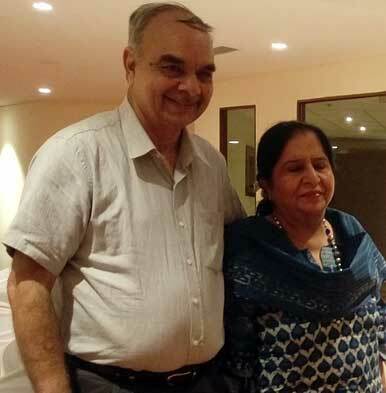 When Fem was acquired by Dabur, multibagger gains gushed into Rajiv’s portfolio. Peter Lynch’s advice also came handy when Rajiv noted that Dolly was serving ‘Nutralite’ butter for breakfast. He aggressively bought the stock and that too delighted him with multibagger gains. 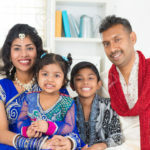 Rajiv Khanna suffered the second big jolt to his portfolio when the stock markets crashed again in 2008 in the wake of the Lehman sub-prime crises. “I lost 75% of my wealth,” he said in a shaky tone. “In March 2009, I decided this is too much. I have lost too much money and I started selling,” he added. However, unknown to him, March 2009 was the precise moment when the markets had bottomed out. The stocks started surging soon thereafter. “When Rajiv Khanna starts selling, the stock market starts going up,” he chuckled, much to the amusement of the IIT students. Thankfully, he had the good sense to rush back into Dalal Street and buy back all of his favourite multibagger stocks. Rajiv Khanna was characteristically modest even while revealing his fantastic performance in the stock market. “If I started with Rs. 6, it is now worth Rs. 2000 …. at a mind boggling CAGR …. Do I have the capacity to do so? I do not think so. It was a bit of luck, a bit of everything,” he said. “People put me on a pedestal and keep writing about my portfolio,” he added, implying that he did not think he deserved such adulation. “I was far too stupid to not know when to sell the stock and it went on to become multibagger,” he stated, again downplaying his achievements. 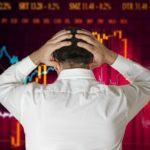 Rajiv Khanna offered valuable advice on how the ‘Buy and Hold’ technique of investment can yield mega multibagger gains to patient investors. One instance is that of Unitech where he invested a token sum of Rs. 5 lakh and forgot about it. He remembered the investment only when it had blossomed into a fortune of Rs. 25 crore. To drive home the point, Rajiv cited from a study conducted by Fidelity Investments which showed that the best investors in the World, i.e. those who had got the best returns, are those who are either ‘dead’ or who had ‘forgotten’ their investments. Such investors did not tinker with their investments. The stocks held by such investors compounded slowly and steadily over several decades to deliver huge multi-bagger returns which out-performed by a huge margin the returns obtained by so-called ‘active’ investors. So, “buy and hold” does work, Rajiv chuckled. Incidentally, the same advice has also been offered to us by Mohnish Pabrai (see The Best Investors In The World Are Dead People: Mohnish Pabrai). At this stage, we have to complement the students of IIT Madras for their razor-sharp intellect and practical thinking ability. “Why did you invest in Rain Industries,” one of them asked Rajiv Khanna in a point-blank manner, making it clear that the students want practical knowledge and not just academic theories. Rajiv described it as a “classic example of intuitive process“. “In Jan 2017, Rain Industries was available at a market capitalisation of Rs. 2500 crore and it was likely to earn cash profits of Rs. 1000 crore,” he explained. “To me it was a no-brainer. I did not get into anything further … I didn’t look back at all and kept buying the stock … from morning to evening,” he said. “Today, the market capitalisation of Rain Industries is Rs. 12500 crore and the investment has multiplied three or four times,” he added with understandable pride in his voice. 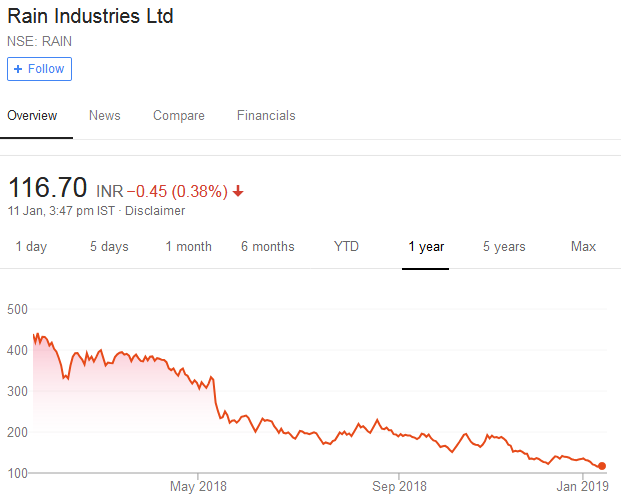 “Why am I buying it today?,” Rajiv asked himself, anticipating the question whether Rain Industries is still a good buy despite the steep rally. “Rain Industries made Rs. 300 crore profit in one quarter. It is expected to make a net profit (after depreciation) of Rs. 1200-1400 crore in the next year, which will be used to repay the debt of Rs. 6000 crore. So, I am getting a company which is making a cash profit of about Rs. 1700-1800 crore. Generally speaking a company growing at that rate should have a market capitalisation of Rs. 18000-20000 crore,” Rajiv said, implying that more multibagger gains are due from the stock. 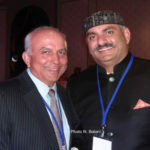 It is well known that Mohnish Pabrai is a strong believer in the prospects of Rain Industries. “I wish I could buy more,” Mohnish has stated and also given cogent reasons for his conviction in the stock. Much water has flowed under the bridge since Rajiv Khanna’s hypothesis about Rain Industries. He expected the market capitalisation to surge from Rs. 12500 crore to Rs. 18000-20000 crore. Unfortunately, the market capitalisation has crashed to Rs. 3900 crore. The stock is down 74% on a YoY basis. This debacle has happened because Rain Industries has got embroiled in a ban by the Supreme Court over alleged pollution by pet coke (CPC). It also appears from the investors’ presentation that Rain Industries’ arch competitors like Rusal, Norsk Hydro ASA and some Chinese companies will shortly be increasing production of the products manufactured by Rain. Investors hate uncertainty and they are dumping the stock like a hot potato, sending the price plummeting. In hindsight, the dumping of the stock by BNP Paribas in March 2018 at Rs. 277 appears very providential. However, Mohnish and Dolly have retained their faith in the stock. 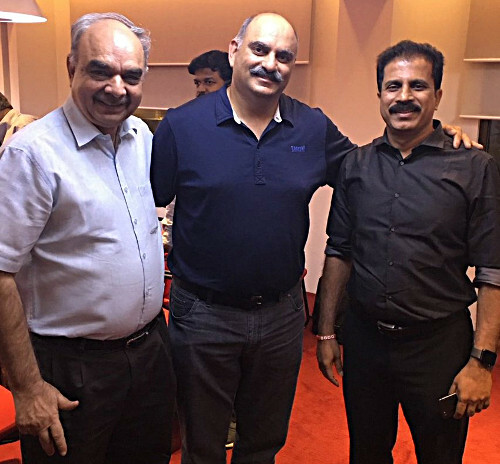 As of 31st December 2018, Mohnish Pabrai’s assorted investment funds collectively hold 329,25,118 shares of Rain Industries. The investment is worth Rs. 385 crore at the CMP of Rs. 117. 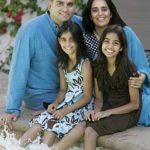 As of 30th September, Mohnish Pabrai’s funds held 328,84,427 shares, which means that he has added 40,691 shares. Dolly Khanna, on the other hand, has indulged in her customary tinkering by slightly paring her holding. Her holding in Rain Industries has dipped from 94,43,702 shares as of September 2018 to 89,51,872 shares as of December 2018. Dolly Khanna’s present holding is worth Rs. 105 crore at the CMP of Rs. 117. Will Rain Industries regain its days of glory? It is tragic to see multibagger gains which were on the plate slowly wither away day by day. In hindsight, it is always good to keep stop losses and book profits from time to time. “You never go broke making a profit,” some wise guy quipped. Perhaps, it would have been wise to not be too greedy, especially given the regulatory hassles following the pet coke ban, increased competitive pressures and the cyclical nature of the industry! I am waiting for it come back to 40 to buy it at PE of 1. We all like PE’s of 1. Dont take my comment seriously!People who took me seriously are still repenting of not buy HEG or Graphite. So listen to Rajeev and not me. He is a crorepati and i am just a twitterati! Also seriously waiting to buy at a PE of 1. Great opportunity. No idea whether waiting to buy at PE of 1 would make us crorepati or wait-pati and twitterati!! 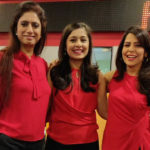 Interesting point is this Chennai Musketeers are like pack of wolves who attack together be it TTK Prestige or Hatsun! Wonder how does the fund manager fit in this Gang! There are so many stocks in India that are available at PE of 1 and even less than 1. But then less PE alone doesn’t make them compelling buy. Can’t believe that the article suggesting ‘Rain’ is no brainer pick now?. Who knows, the entire company may be shutdown as like sterlite on grounds of pollution. Rain’s huge debt burden with partial shutdown will hurt its balance sheet even more. The moment news is out that Pabrai is reducing the stake, in few sessions, Rain price will hit 40 and perhaps even 10. Khanna reducing the stake is not good for Rain stock. Gone are the glory days. I agree with you Krish. High debt is big concern and Pabrai has in past shown that he is vulnerable by selling some of his Indian Holdings.So his 10% stake is also a big concern because if he starts selling then 40 is on card for sure. In 2002 or 2003, J&K Bank was available at about 1 to 2 PE. In a couple of years, the stock was a multibagger. Likewise, I guess Yes Bank is a low risk stock now.